Since moving from Nashville to New England in late summer 2011, Boston folk songstress Annalise Emerick has demonstrated her aptness to awaken reminiscence in the minds of her listeners with just a few simple words. Worldly and wise after years of traveling, this is a conceivable notion, for in many ways the singer is a gypsy -- always restlessly exploring the notion of home musically, emotionally and geographically. 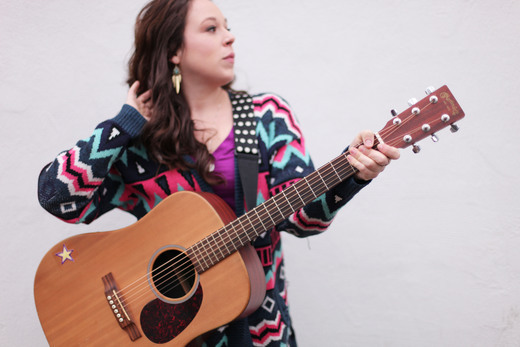 She’s claimed a scattering of cities as musical muses, growing up in Austin and Seattle before studying music at Belmont University in Nashville, where she later recorded her first album with producer Brad Hill at Hill Studios. Emerick’s clear voice, acoustic-driven style and earnest, contemplative lyrics have situated her among fans of Eva Cassidy, Patty Griffin and Brandi Carlile. But with Starry-Eyed, Emerick proved that her gypsy propensity lends itself well to her songwriting and creative process. Her ability to poignantly detail lessons from relationships and contemplate life’s continuous journey has revealed her as a multi-faceted person and artist to fans.